One of the benefits of living in a big city is that I once in a while find myself in the centre of the global spotlight. This will no doubt be the case as the Olympics approach and that will certainly lead to several blog entries detailing the atmosphere and the excitement that comes with the games. 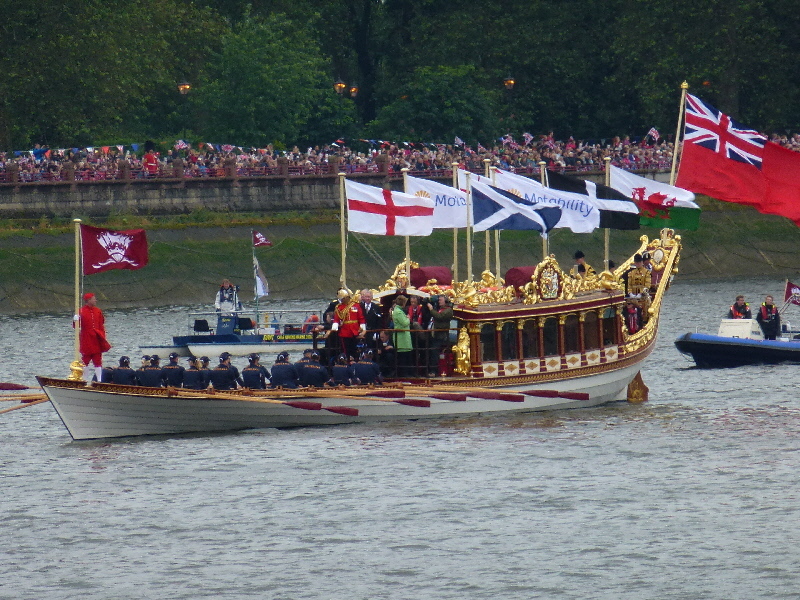 I got a small taste of what the Olympics might be like a couple of weeks ago as the United Kingdom celebrated the Queen’s Diamond Jubilee. 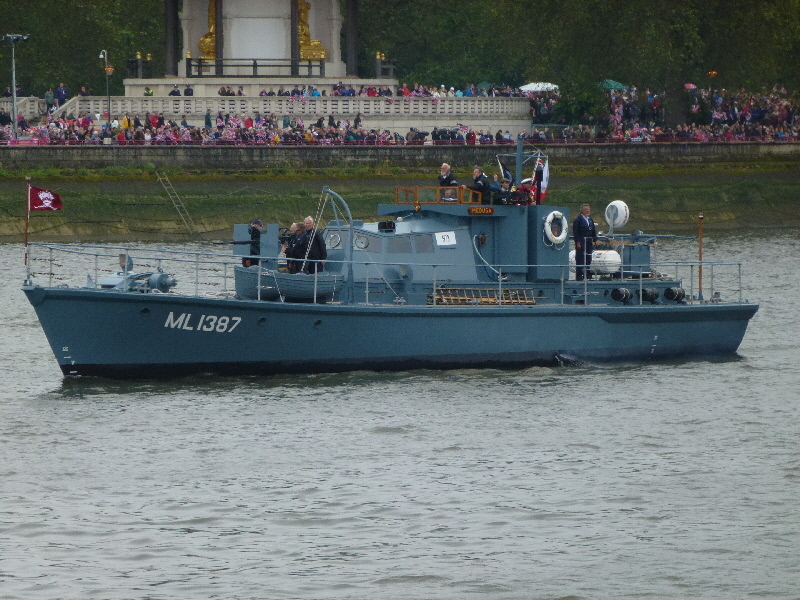 The Jubilee weekend, which stretched from Saturday to Tuesday thanks to a couple of bank holidays, was very typically British, even down to the weather. 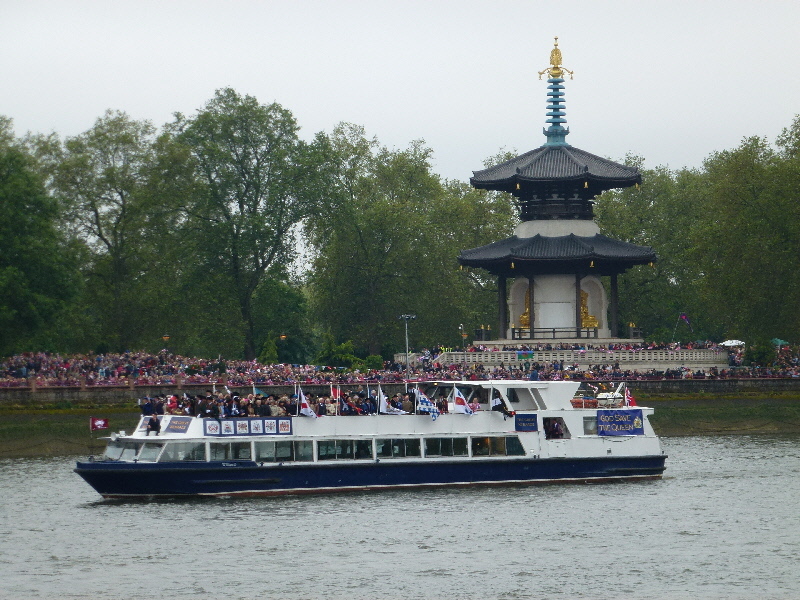 All over the city there were festivals and concerts celebrating the Queen, but the two main ones I will focus on are the Queen’s Flotilla down the River Thames and the concert at Buckingham Palace. 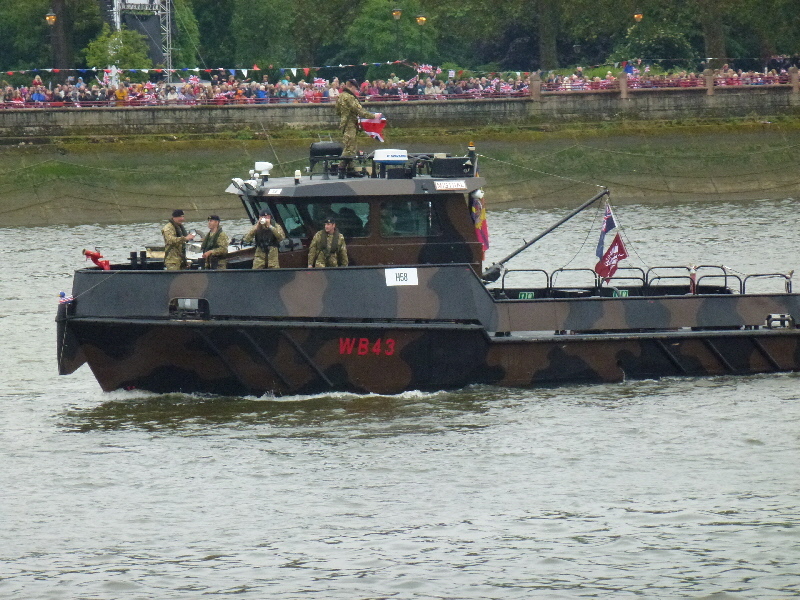 The Flotilla I was lucky enough to attend, the concert I could not get tickets but was able to watch on TV. It was a cold and rainy Sunday morning in London and I had arranged to meet friends at 9am on the other side of the city. 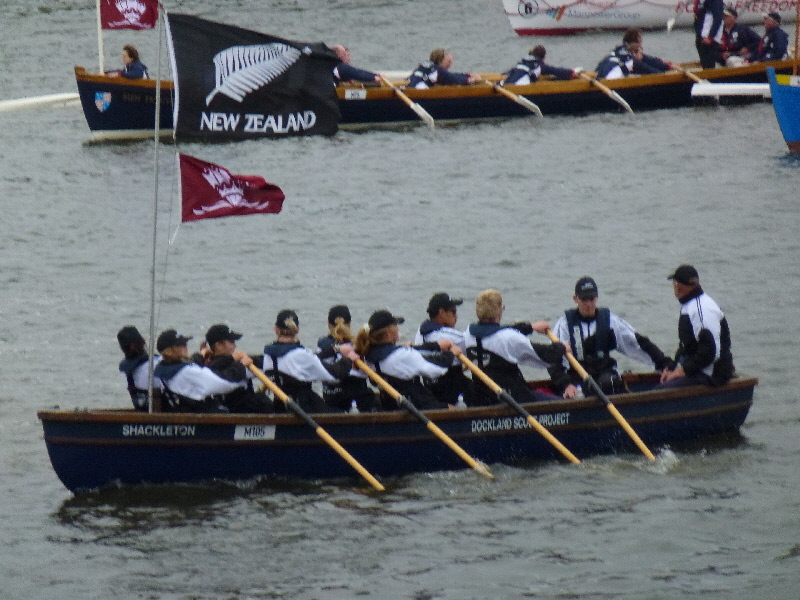 As I left my house around 730am, umbrella firmly in hand, I realized that the Flotilla would not actually begin for another seven hours! I thought for sure as we headed down to the Chelsea Embankment that we would be the only ones crazy enough to stand in the cold for hours on end! Was I ever wrong! Already there were food stands set up, many had tents set up and had clearly been camping overnight to ensure they got the perfect spot. 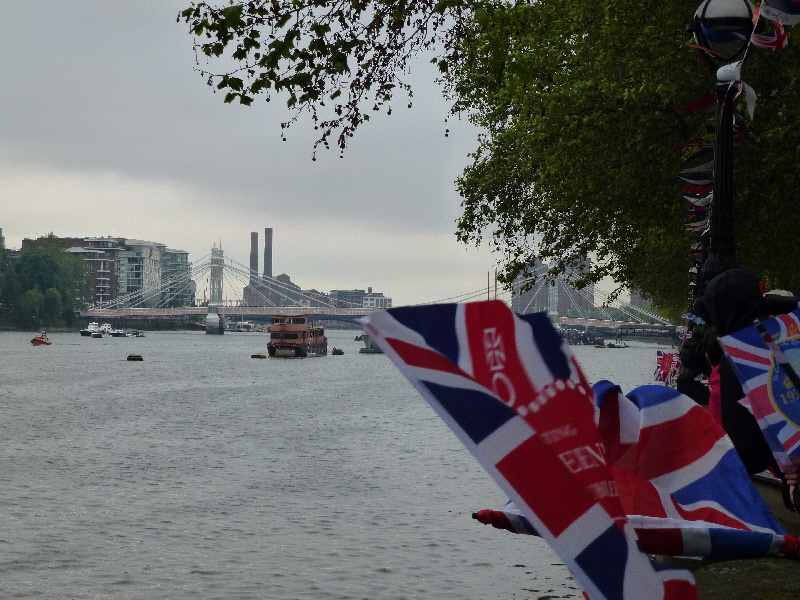 Fortunately we were able to walk far enough along the embankment to get a spot right on the side of the River Thames, overlooking Battersea Park and the Battersea Power Station, a very nice view indeed! 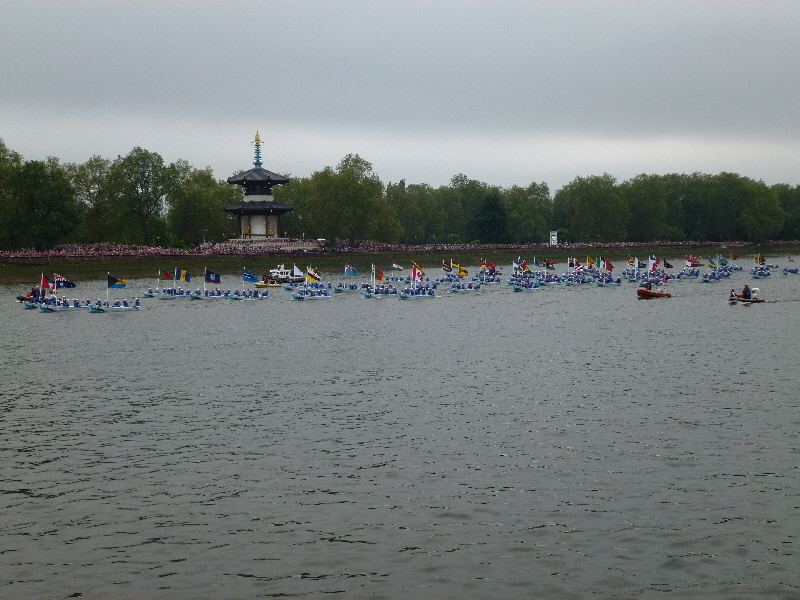 As the time passed more and more people began arriving despite the increasingly grey conditions. People were trying everything to keep warm but most resorted to drinking wine and singing the national anthem to keep occupied. 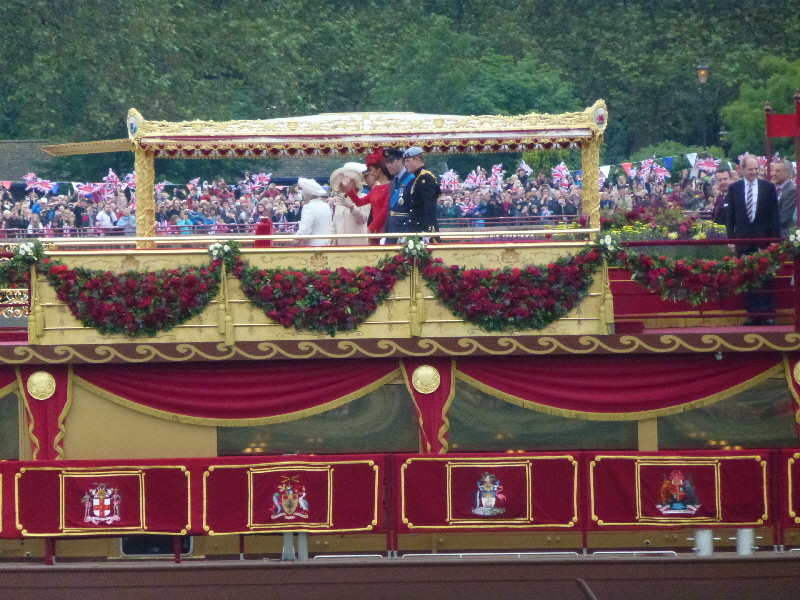 It was great to see the patriotism of the United Kingdom come out in full force over the course of the weekend, something I missed when the Royal Wedding took place last year but was looking forward to experiencing first hand. After hours of waiting, and a couple cheeky glasses of wine, it was finally time for the main event. 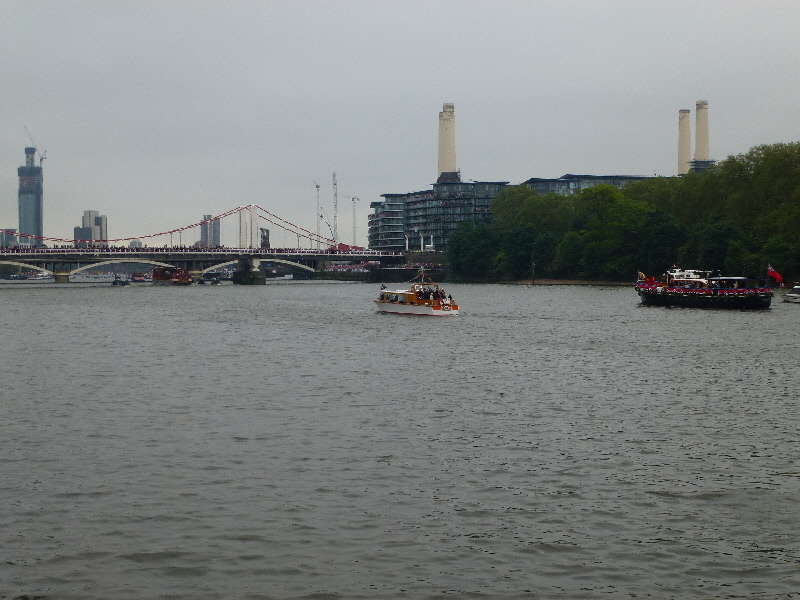 The Flotilla was comprised of 1000 boats and stretched all the way from Battersea Bridge in west London (near where we were) to Canary Wharf in south east London, a span of approximately 7.5 miles. 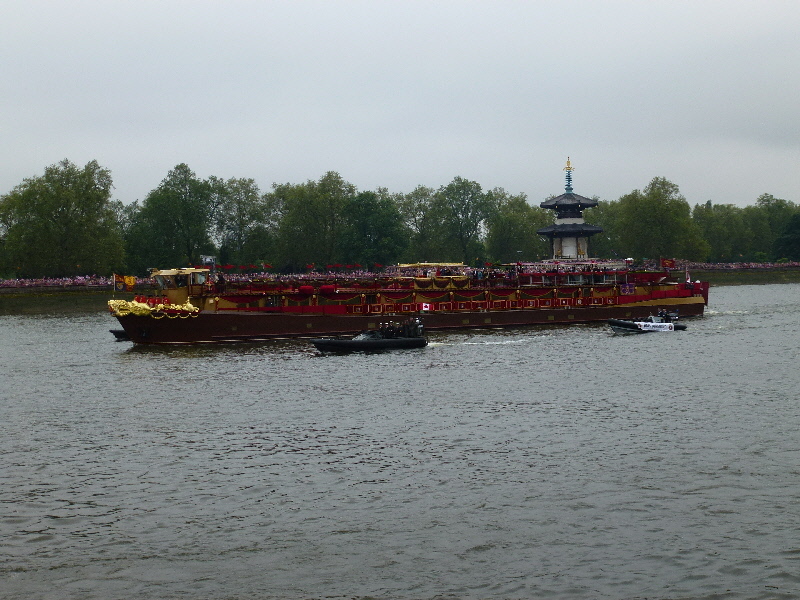 While this wasn’t too far for boats such as the Queen’s it was quite difficult for those paddling their way down the Thames. 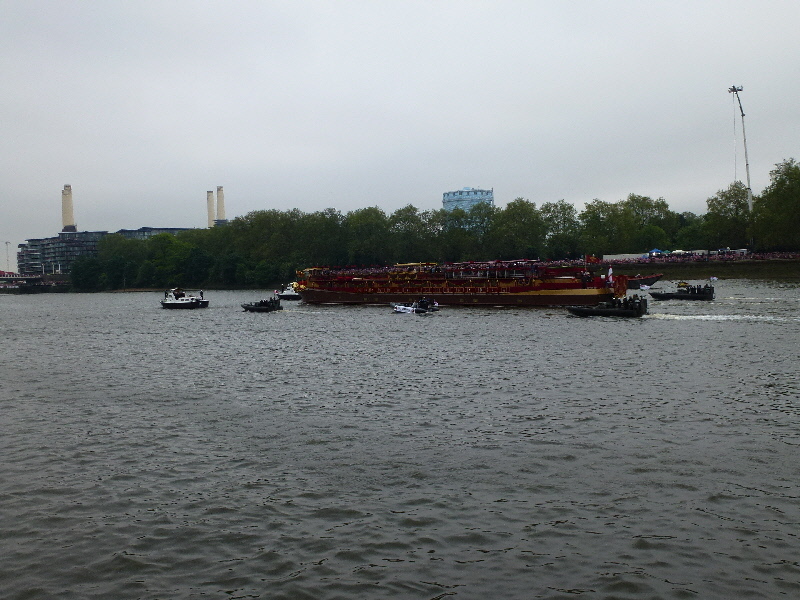 Many of these boats had been forced to paddle their way up the Thames that morning to get into the correct position and were simply exhausted as the Floatilla began thus having to undergo the embarrassment of being towed. 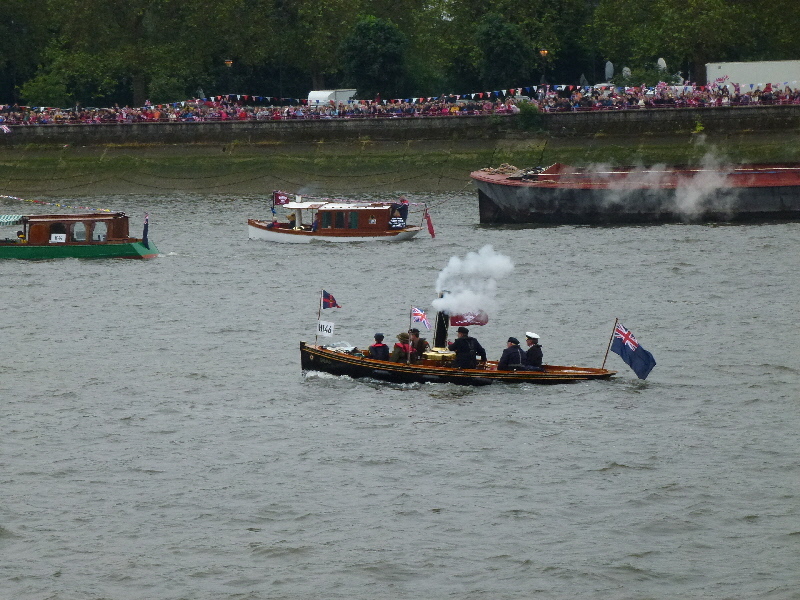 Finally, after all the commonwealth boats went by, we got our first glimpse of the Queen’s Flotilla. 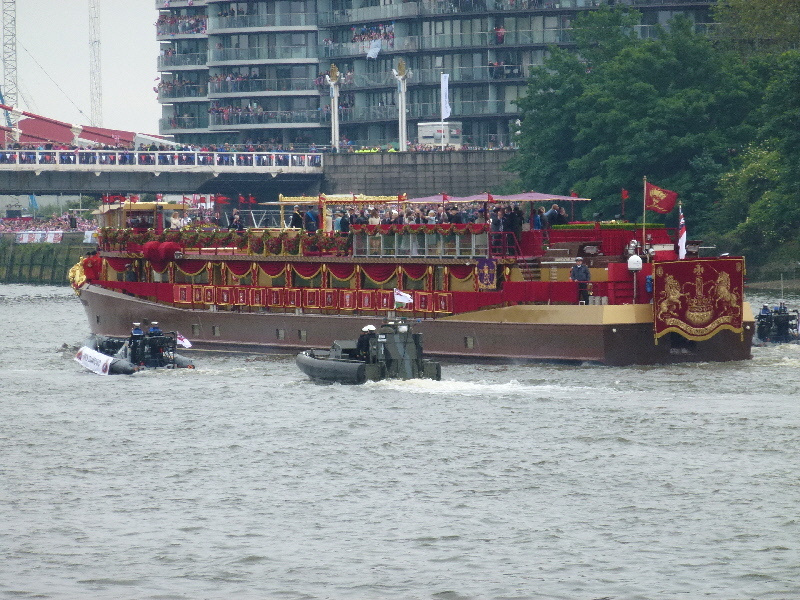 It was a beautiful, massive red and gold boat that had a covered platform in the middle to allow the Royal Family to stay dry as they meandered down the Thames. 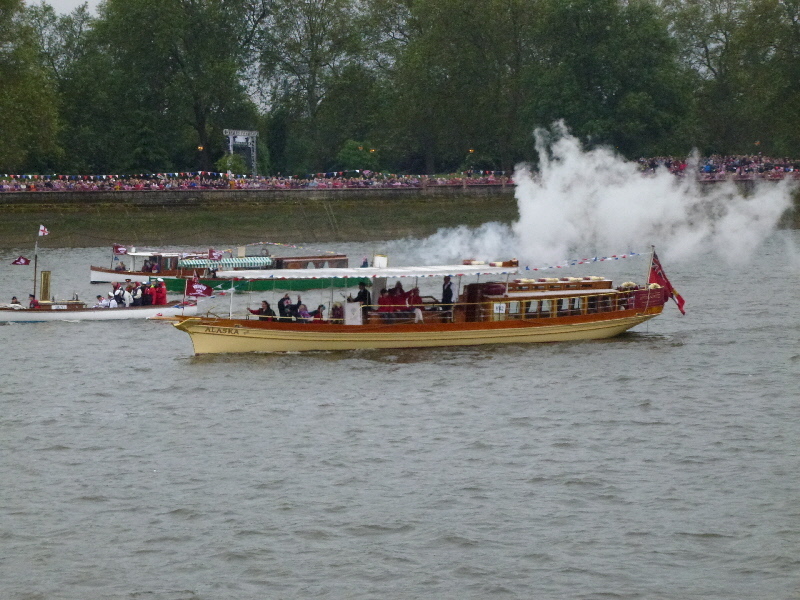 Being right on the shores of the Thames and having recently invested in a new camera helped considerably as I was able to take a few decent pictures of the event as you can see below. 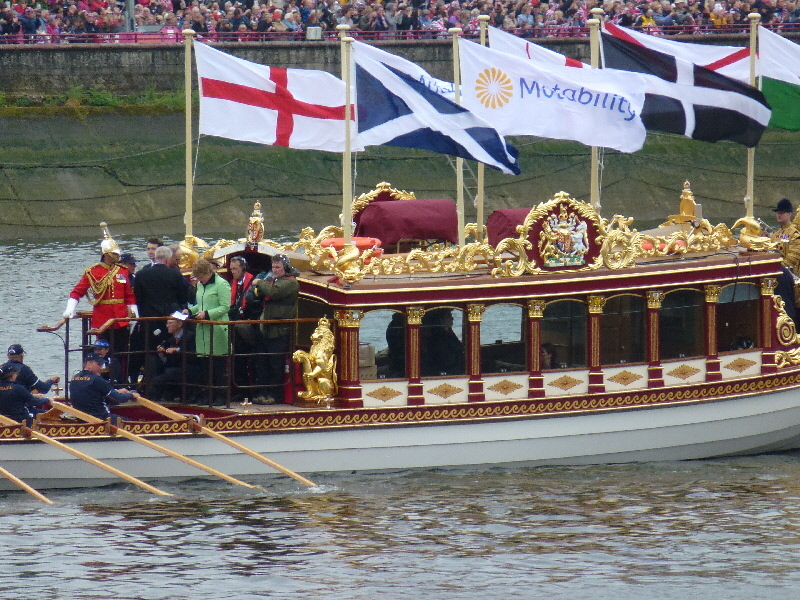 Just after the Queen floated by the skies really began to open up so in true British fashion we hurried into the nearest pub to dry off! 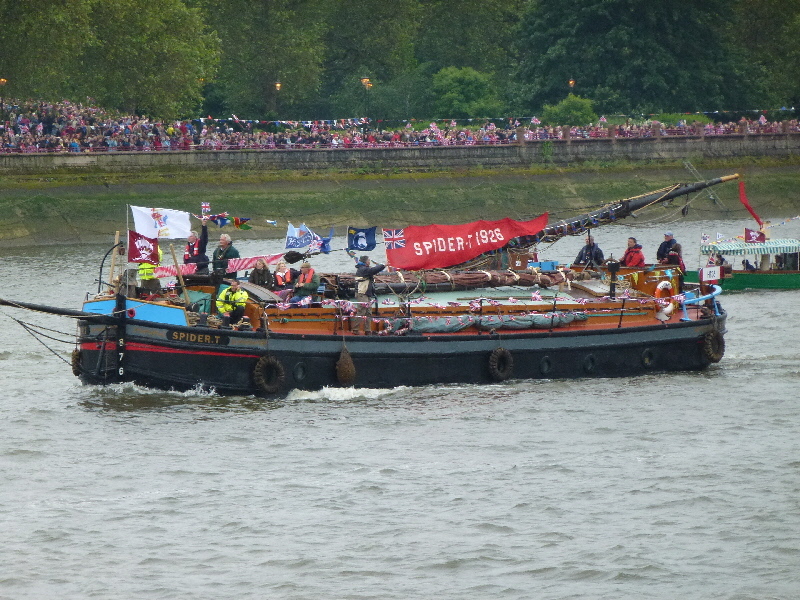 I spent the time leading up to the Jubilee not really knowing what to expect but it was a very fun day, despite the weather, and well worth getting there early! 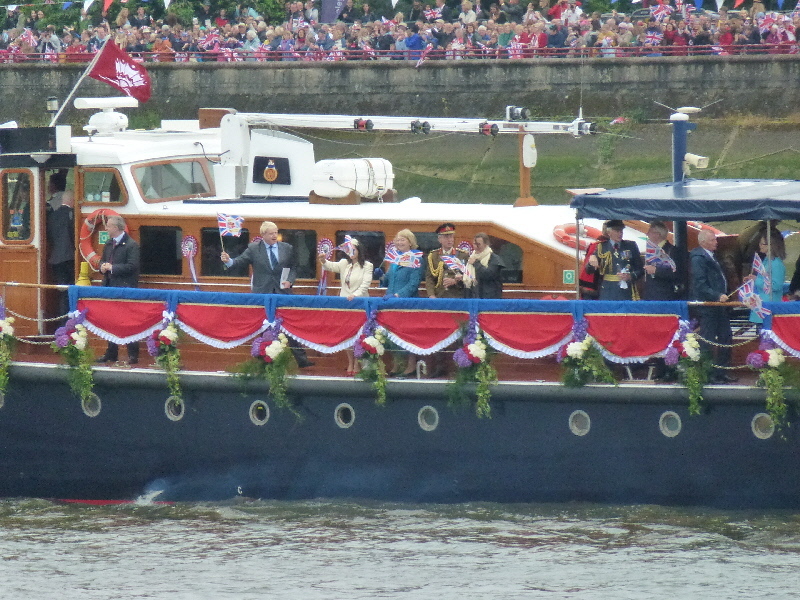 The weekend was then capped off with the Jubilee concert which helped further integrate me into the British culture. 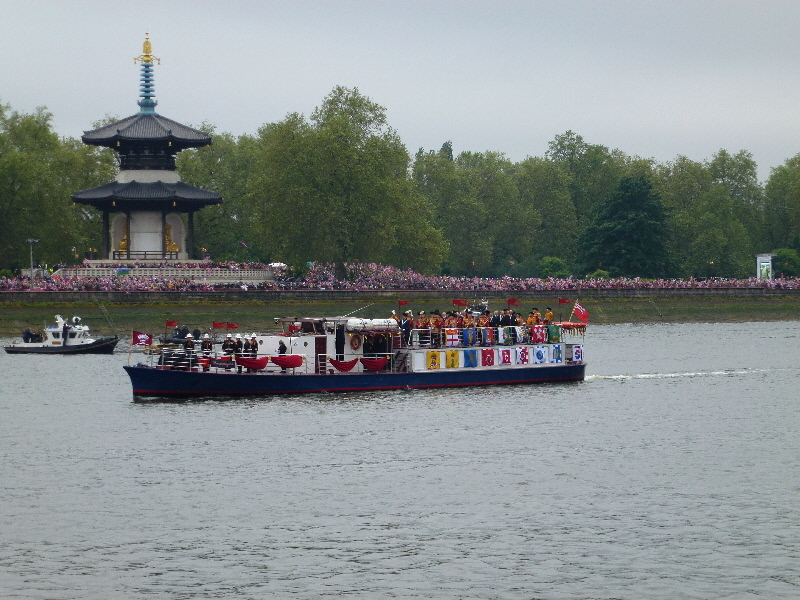 The concert was held outside Buckingham Palace at the roundabout in front of the Queen’s residence. Although only 10,000 people were awarded tickets to the actual concert grounds the crowd extended down the Mall and actually reached 250,000 people! It was certainly a sight to see on TV. The concert began with a favourite of my sister’s, Robbie Williams, and contained several top notch British acts including Cliff Richard, Elton John and Paul McCartney. It ended with Prince Charles making a speech toasting the Queen, and even he drew a couple of laughs from the audience as he referred to the Queen as “mummy”. 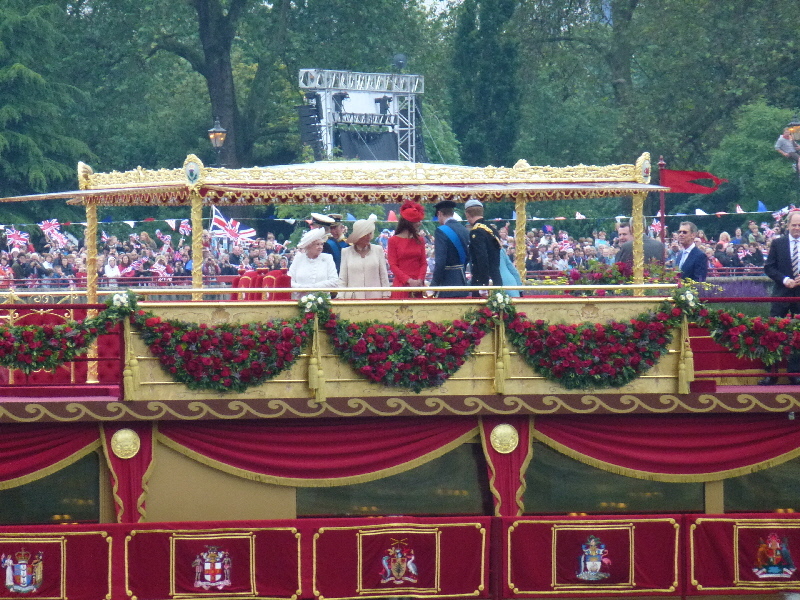 It was certainly a memorable weekend in London and it was for an occasion I will never see again in my life time. 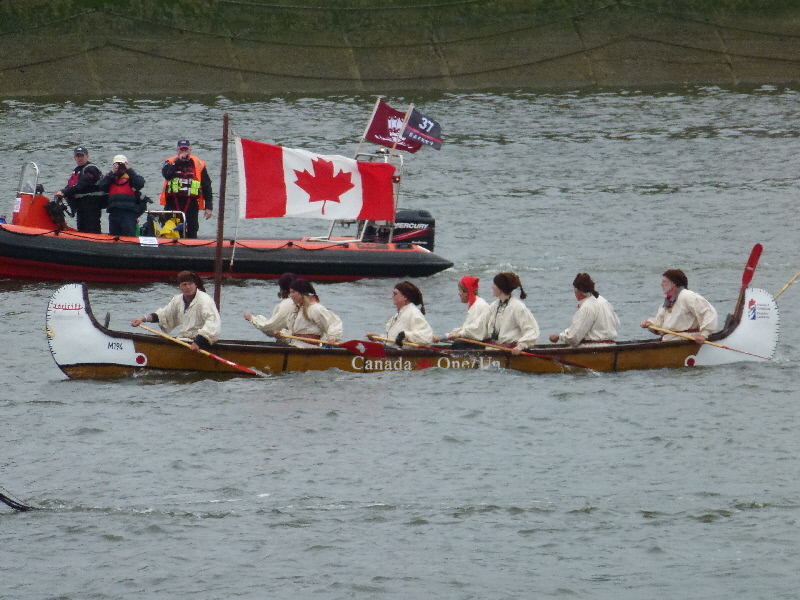 It also gave me a bit of a preview of what the Olympics might be like, hard to believe they are only 6 weeks away! Growing up as the son of a South African father and a New Zealand mother I never had much of a choice but to love rugby. Throughout my childhood I would watch match after match with my parents and from a young age I was enrolled in rugby camps. This love of rugby has been extremely beneficial in my life as, although I was far from a standout, I have been able to play and watch the sport all over the world. One thing that I always wanted to do as a rugby fan however was go to Twickenham (the main rugby stadium in England), and I finally got the opportunity a few weeks ago to go not once, but twice in the same week! 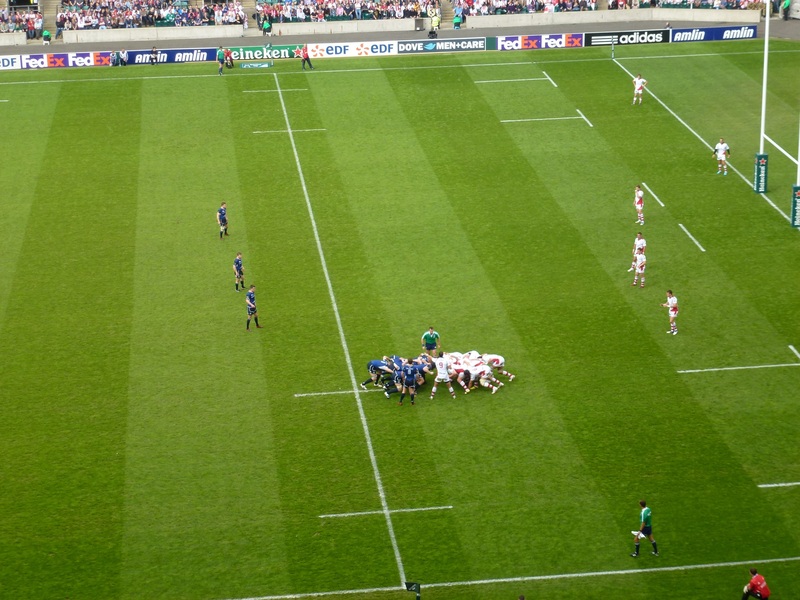 My initial Twickenham experience was an interesting one to say the least. The world rugby sevens was in town and I headed out there with a few friends. The only way to get to Twickenham from most of London is to take a train from Waterloo station. This is very convenient, but when you are heading out for an event it also tends to be rather congested. 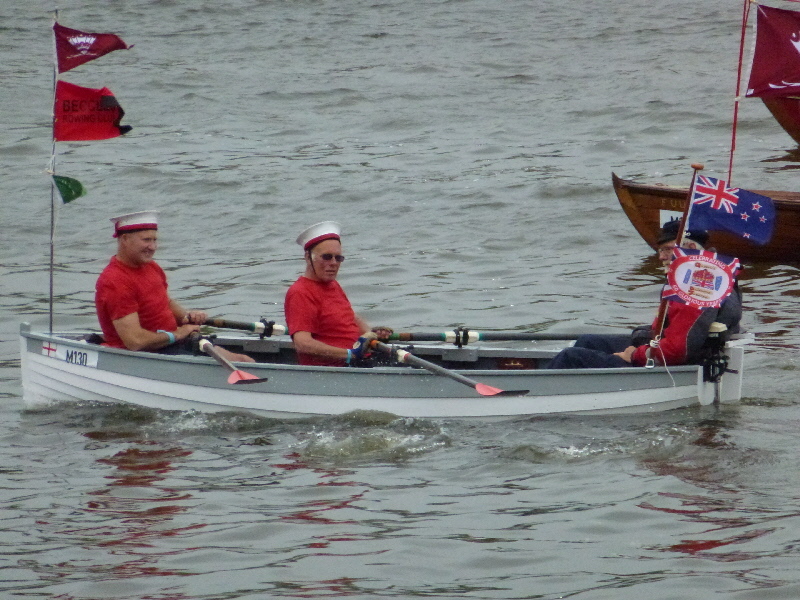 This was not necessarily a bad thing though as the rugby sevens provides a wonderful atmosphere. 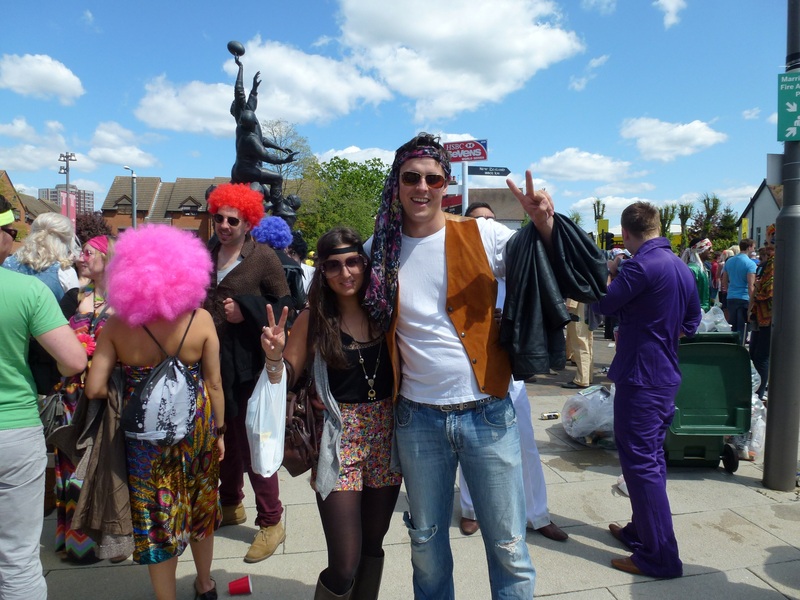 The theme for this round of the sevens was to dress as though it was the 1970’s, so after making a quick pit stop at Camden market for some pin stripped jeans, an afro and some aviators I made my way to Waterloo to board the train. 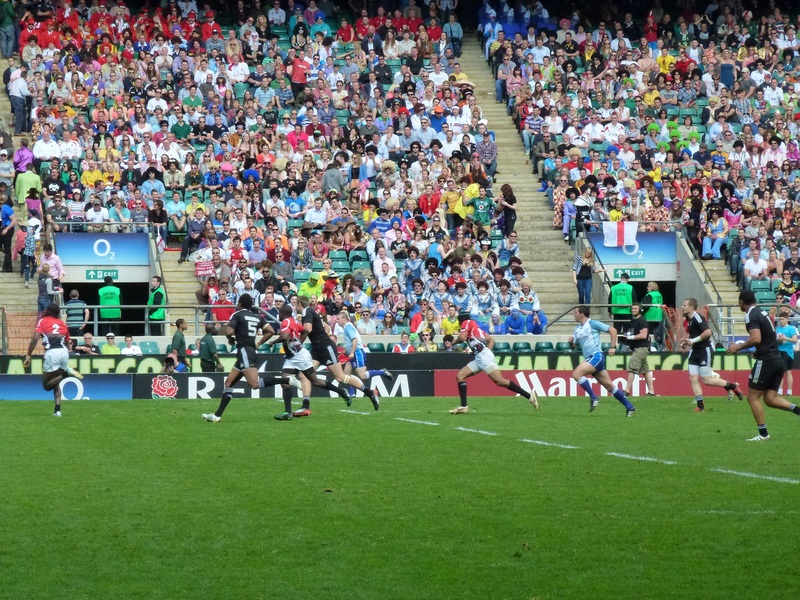 Having never been to the rugby sevens before I wasn’t quite sure what to expect, but I quickly came to realize the true atmosphere of the day isn’t about the rugby but rather the people watching and the crowd. The rugby was excellent, and we were lucky enough to get moved to the front row, but it truly was about looking around, seeing all of the costumes and singing the songs. While this was a fantastic Saturday in the sun Twickenham was only about two thirds full and it wasn’t exactly the environment I had been picturing when I dreamed of going there. Fortunately, I only had to wait 7 days for the chance to engage in the full Twickenham experience. The following Saturday three friends and I headed back out on the train, but this time for the Heineken Cup Final. 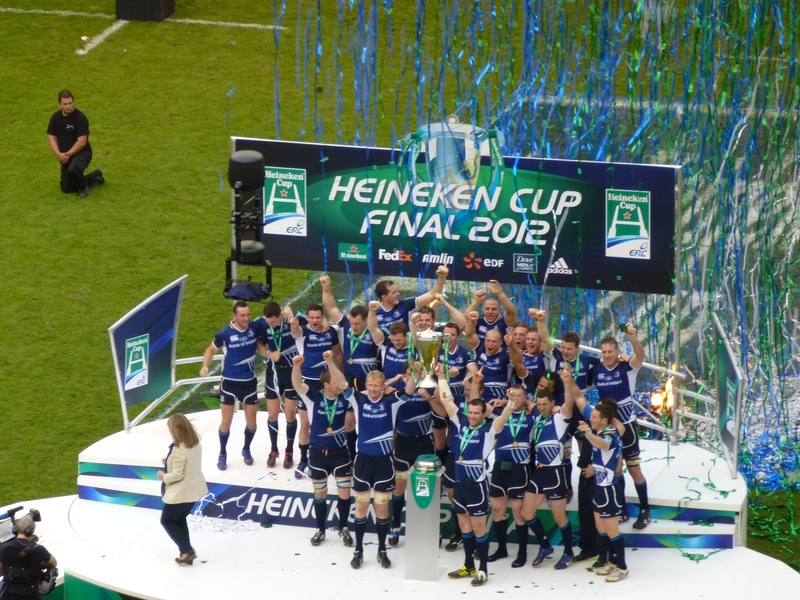 For those unfamiliar, this is the rugby equivalent of the Champions League final and happened to be taking place on the same day. The atmosphere for this match was far tenser as the two Irish teams took the field and the knowledge of the fans around us was very impressive. 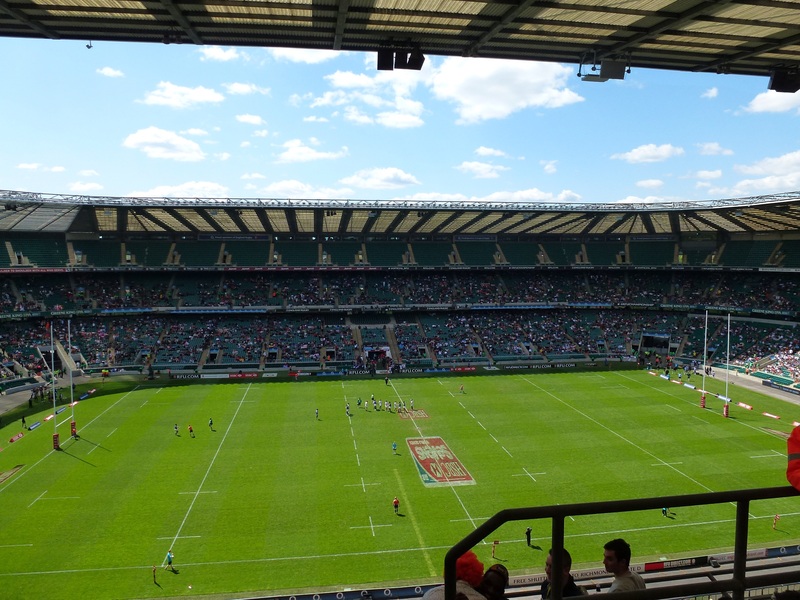 As the pictures below will indicate, Twickenham, while full, is quite an amazing place and the atmosphere as the tries are scored would be very difficult to beat. 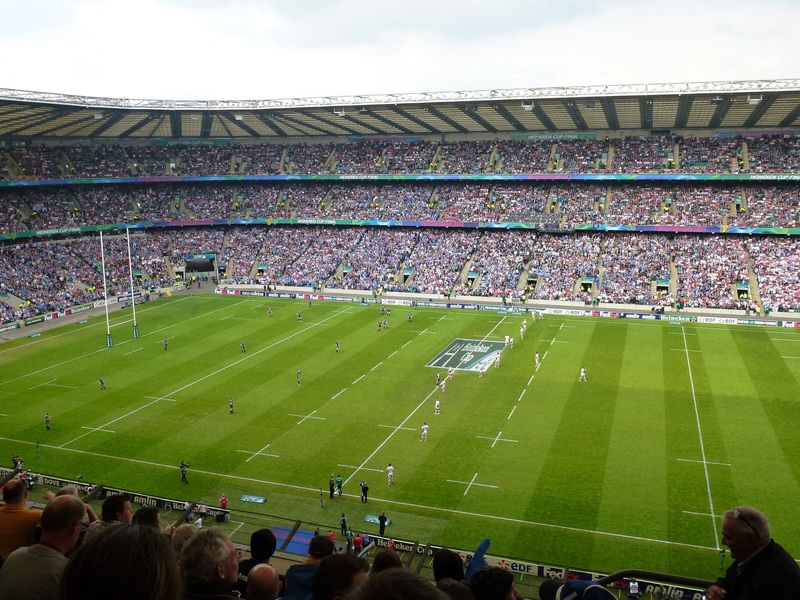 I was very happy to get the chance to go to Twickenham not once, but twice, and I hope I can get there again in the near future; it was certainly one thing to cross off the bucket list!